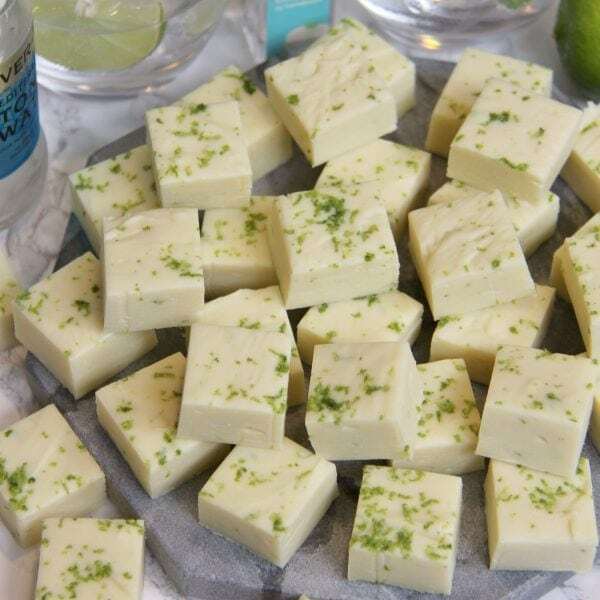 Easy, Delicious, and Quick Gin and Tonic Fudge with Lime. So recently I posted my Gin & Tonic Cupcakes recipe and it was a much much MUCH bigger hit that I planned and I just knew I needed to do another G&T recipe, so Gin and Tonic Fudge happened. I have several G&T recipes up my sleeve, and I thought I might as well post another one as its such a popular thing at the minute. Honestly, all the deals, all the popular things are all about Gin at the moment! 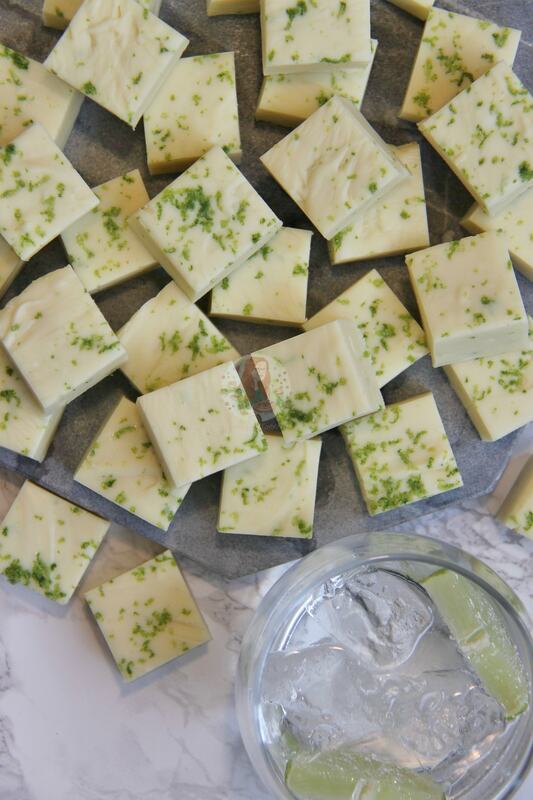 I recently went to an event with Paul A Young and Four Pillars Gin which was DELIGHTFUL, and delicious.. and it made me want more gin treats in my life. However, for this particular recipe, I thought I would make it cheaper than having to buy a new bottle of Gin, and some tonic, and tried the Sainsbury’s Gin and Tonic flavouring. Obviously, its never going to taste as good as an ice cold G&T, but it does the trick damn well. You can’t really smell G&T out of the little bottle as its so concentrated it kinda just burns. The taste however? Yes please! As I do love a good G&T, I am always for trying the flavour in new and different things. 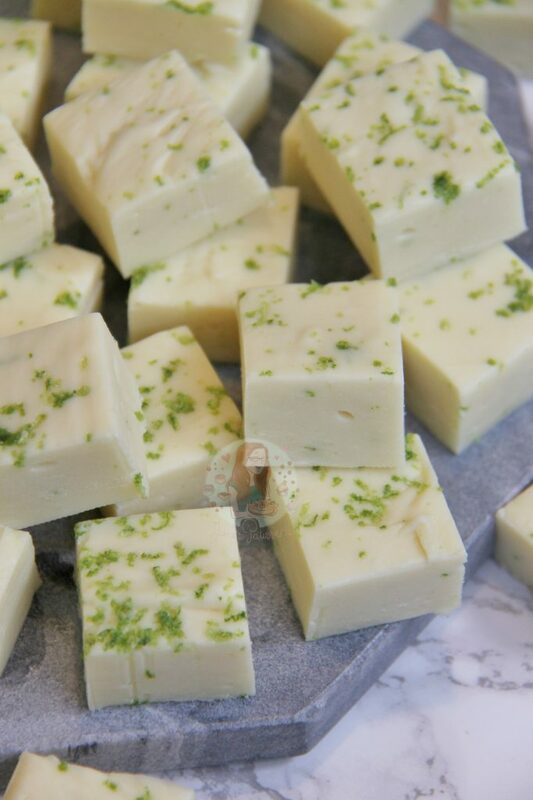 You can try Gin & Tonic in a condensed milk fudge if you like, but you’d have to use so much to get the flavour through, that the fudge doesn’t really set very well due to the tonic. Trust me, I have tried… it doesn’t work too well. 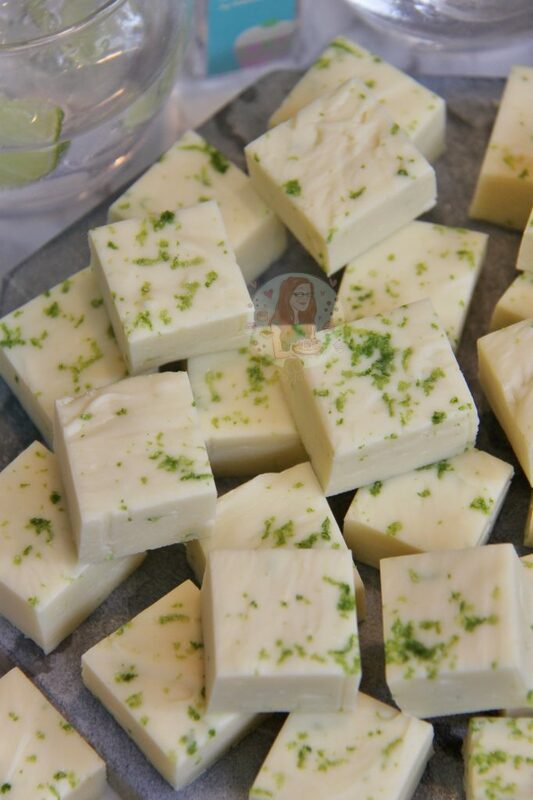 I have also tried more classic types of fudge, and the flavour just doesn’t come through. However, using just gin does work to a degree, as long as its a nicely flavoured one that is quite strong! My Gin & Tonic Cupcakes worked wonderfully with the actual Gin, as the Gin syrup is utterly dreamy, but for the fudge… I love the essence, or gin on its own. Line a tin with parchment paper – I use a 7×10″ Brownie tin as it makes a nice depth of fudge with the biscuits in! 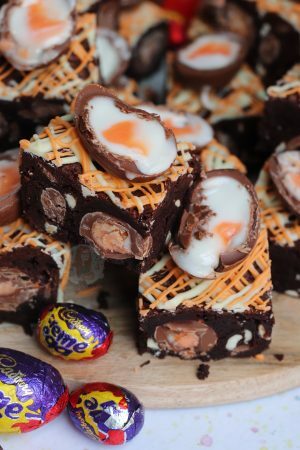 Put the chopped chocolate into a heavy based pan, along with all of the condensed milk, and the Gin and Tonic Flavouring – melt on a low heat, stiring often so that the chocolate doesn’t catch on the bottom and burn and so that all the ingredients mix together well. 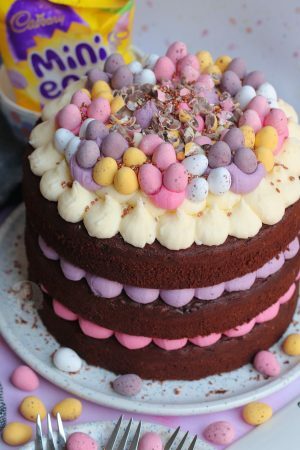 Alternatively, melt the chocolate in the microwave until fully melted, and mix in the condensed milk and flavouring afterwards. If using actual gin, mix in at the end with the icing sugar in the next stage. Once melted, tip in the sifted icing sugar and combine well, it make take a bit of beating. Add in the zest of one of the limes. Stir through and pour into the tin and smooth over the mixture. 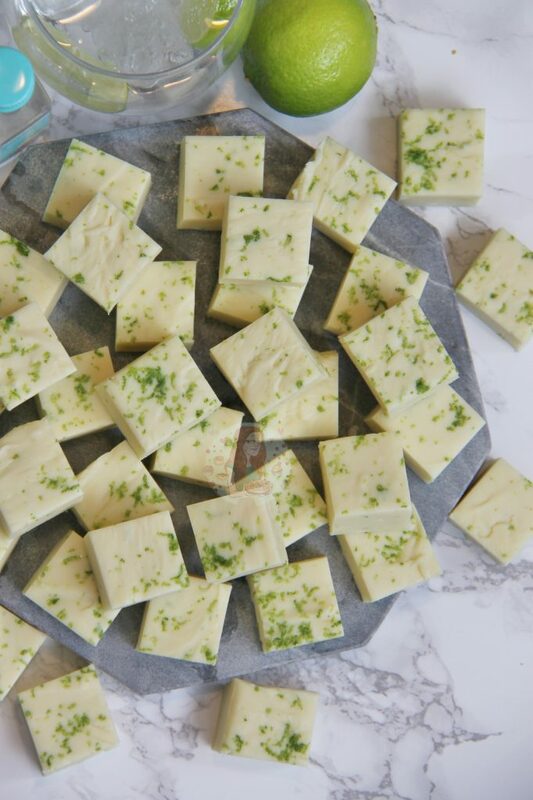 Sprinkle on some more lime zest and press into the top of the fudge and store in the fridge for at least 3-4 hours to set, or overnight! 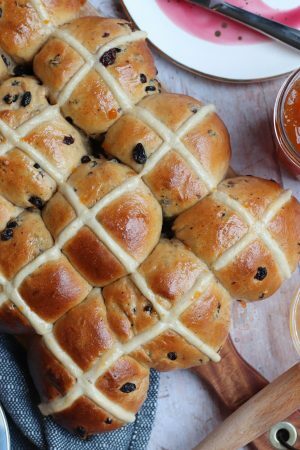 Once set – remove from the tin and cut into the squares (I cut 1″ squares) , return to the fridge for another couple of hours to finish setting if its still a little soft – ENJOY! I bought my Gin and Tonic flavouring from Sainsbury’s as it was nice and cheap and worked well! They also do Rum flavouring, and Prosecco flavouring. 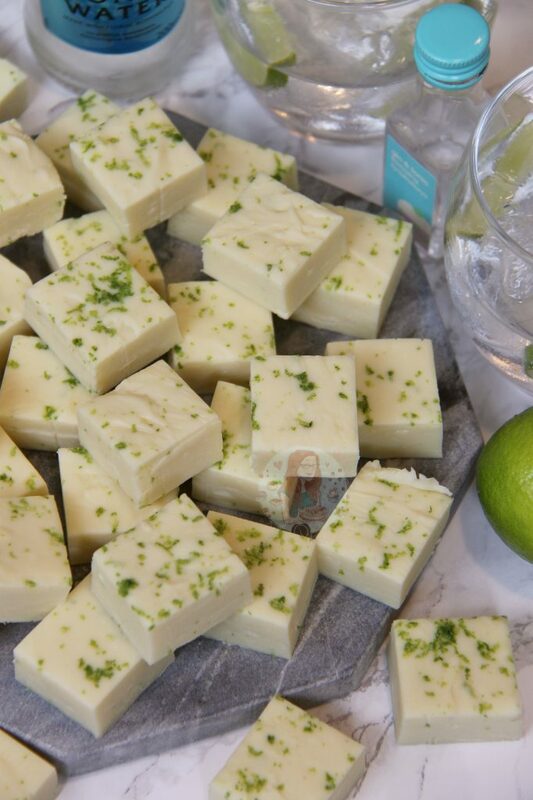 As I said above, I didn’t get on with using real Gin or Tonic as this is a condensed milk type fudge rather than a proper fudge. Just gin on its own works, but tonic causes it to not set. As a warning, even with the gin it can be still a little soft! If your Gin is still a little soft, try leaving it in the fridge for another night, and it’ll harden. 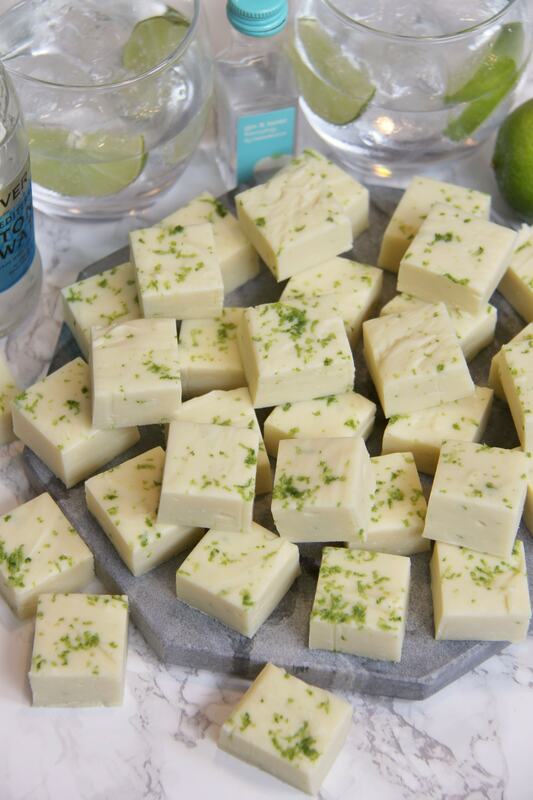 You can also add in another 200g of white chocolate to help, however that will reduce the flavour of the gin. This fudge will last in the fridge for 2-3 weeks, in an airtight container. 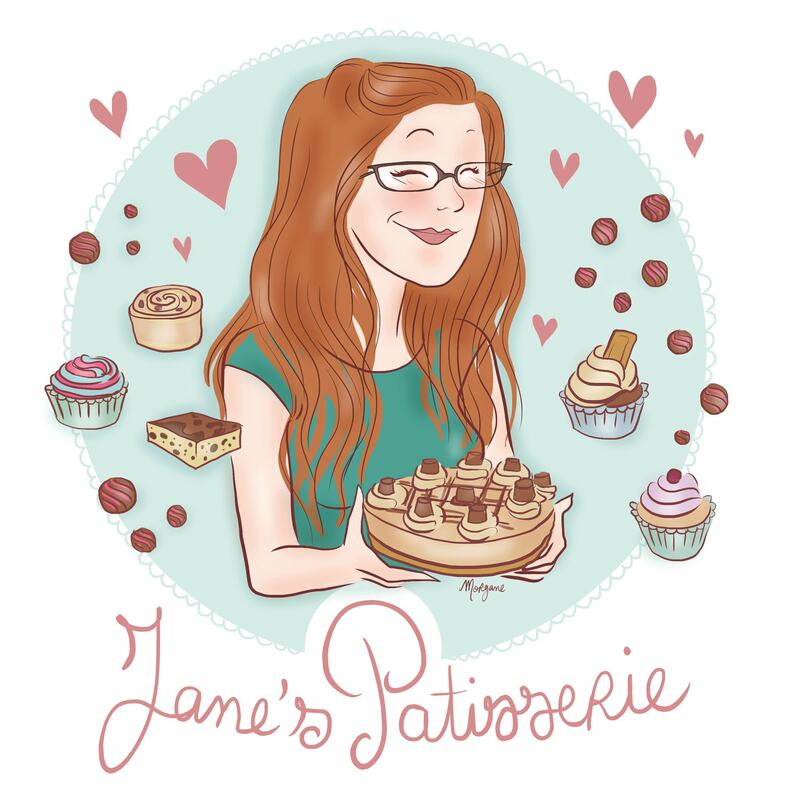 Find my other Dessert Recipes on my Recipes Page! Older Next post: Creme Brûlée Cheesecakes! 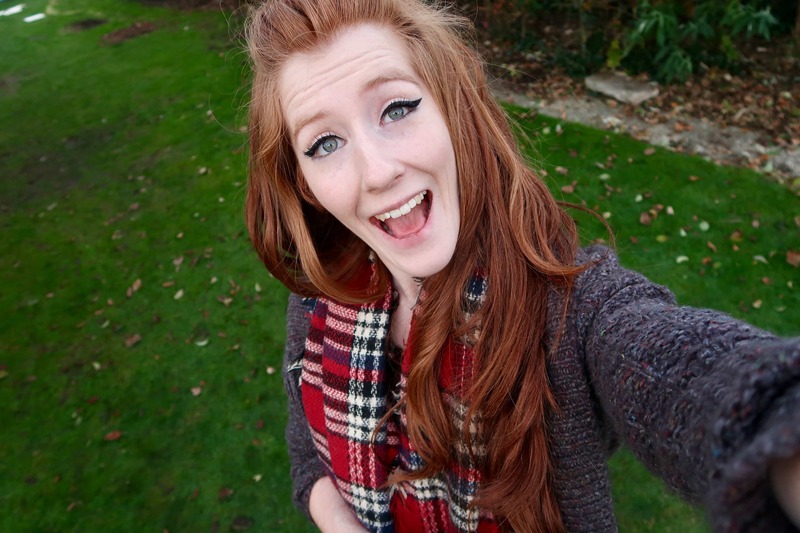 Newer Previous post: Mint Aero Fudge! Im not going to, but would you add the lime juice, or will it not set so well, I’m asking noe for the next time, as you do not say to add juice of the limes. I wouldn’t – as it can affect the set!